Drawing from its experiences shipping volumes of e-commerce packages, DHL Express wraps up and delivers some useful hacks from DHL Discover, a free library on helping businesses succeed and grow. Here are top recommendations to help you up your e-commerce game – from online shopping all the way to check-out. For a start, here are some useful insights from the Facebook 2018 Holiday Study: 94 percent of shoppers turn to Facebook when making holiday shopping decisions, while another 67% rely on Instagram. The study also revealed that three out of five Filipinos turn to their smartphones to make informed decisions, especially during their idle time. Building a site does not result in immediate traffic. The eCommerce Training Academy’s advice: be visible to where your audience is. Leverage search engine optimization, pay-per-click, email, social, display ads, retargeting, mobile, shopping engines, and affiliates to drive qualified traffic to your online store. Since your potential customers spend most of the time on social media, you should turn them into your best salespeople. Give your customers a positive experience at every touch point – answer inquiries, make suggestions, help them solve problems, and, allow them to be part of the conversation around your brand. Claims like “Low prices” and “Guaranteed next day delivery” aren‟t just for clickbait. If you can‟t deliver on them, your customers will not hesitate to tell everyone how bad your service is. For your regular shipping needs, partnering with logistics providers can also help you speed up the delivery process. 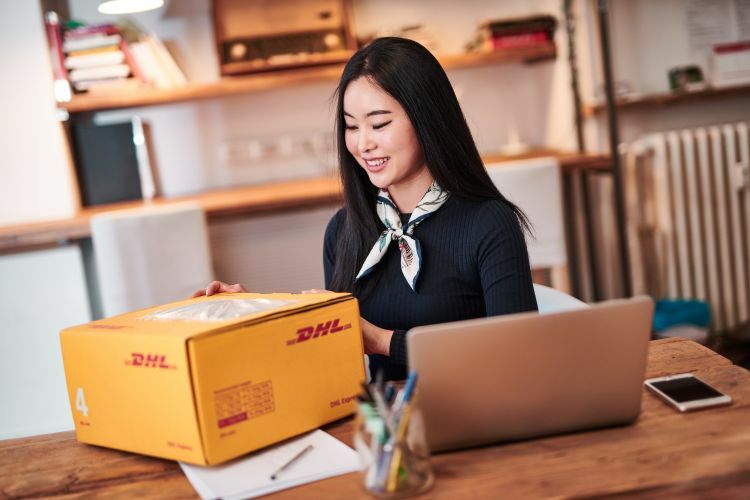 Signing up for a MyDHL account, for example, gives you free online shipping, tracking, and billing services that you can customize for your preferences. According to econsultancy, showing consumers a similar but more expensive item is 20 times more likely to drive a sale. Though you have a deep, robust website with lots of captivating content, your customer should never be more than 3 or 4 clicks away from your checkout. If you could show customers how passionate you are about providing a great customer experience, your business is headed for a season to be jolly indeed. Keep in mind that customers are counting on you to provide a great customer experience. By tapping the services of a trusted logistics partner, you can focus and further improve your core business.